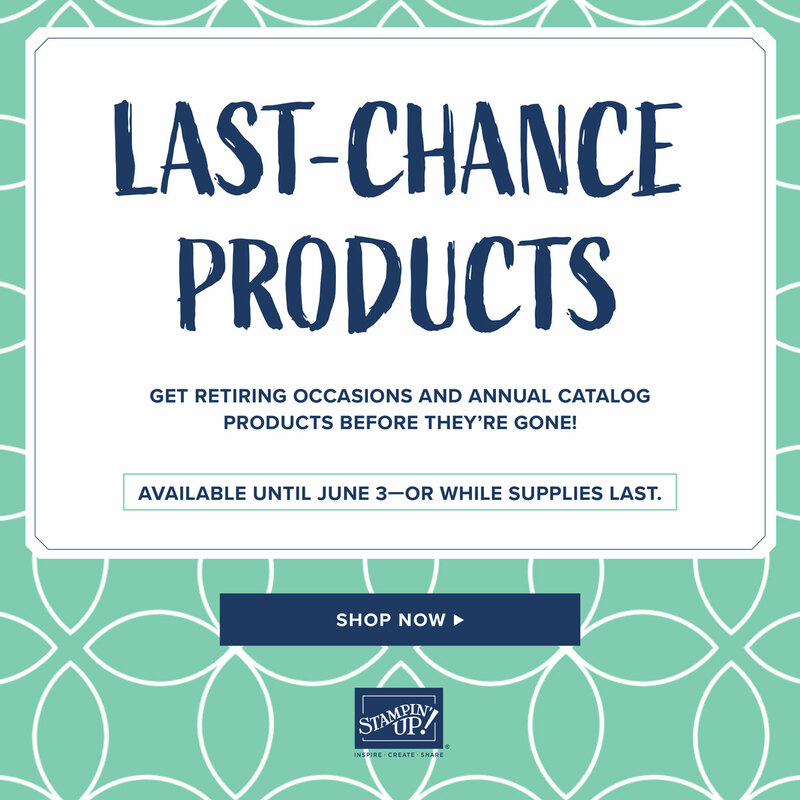 Enjoy the holiday with the ones you love. I'm blessed to have my three kids all home, a great husband and family and many wonderful friends! Even though I'm done sending out Christmas cards, I had to make one with all the leftover scraps from the Quilted Christmas DSP and the Christmas Around the World DSP. 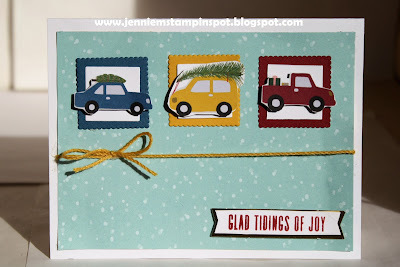 And the sketch at Case this Sketch#252, here, inspired me to use up the scraps. 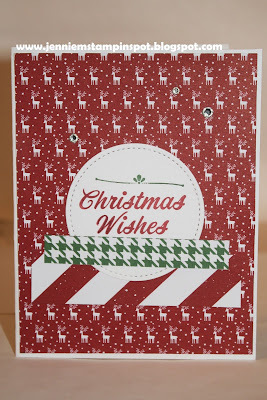 Christmas cards all done and sent!!! 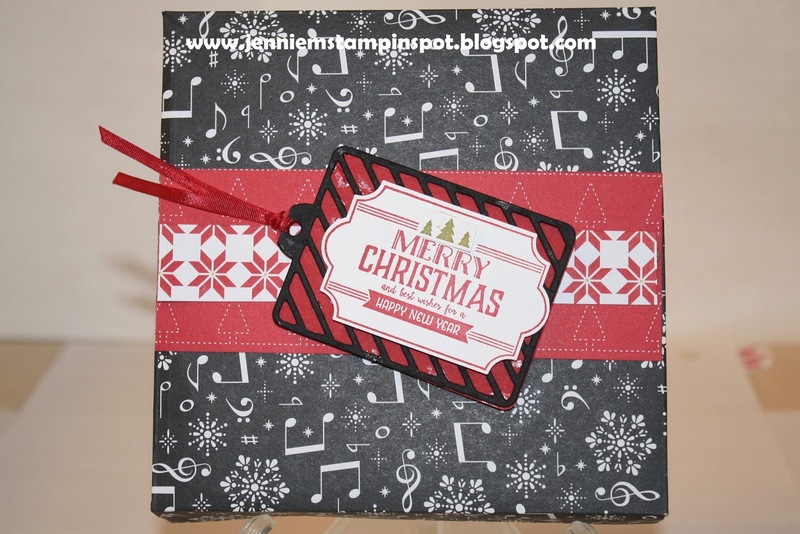 Now time to make some gift card packaging. 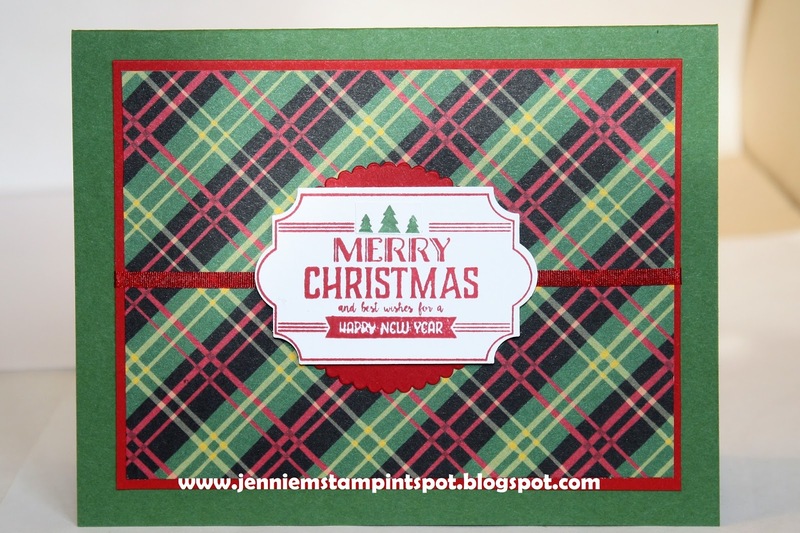 This box qualifies for the SUO Challenge#190-A Favorite Holiday Image, here. 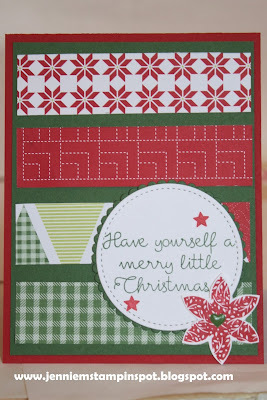 Labels to Love is the stamp set with some Merry Music Specialty DSP and some Quilted Christmas DSP. 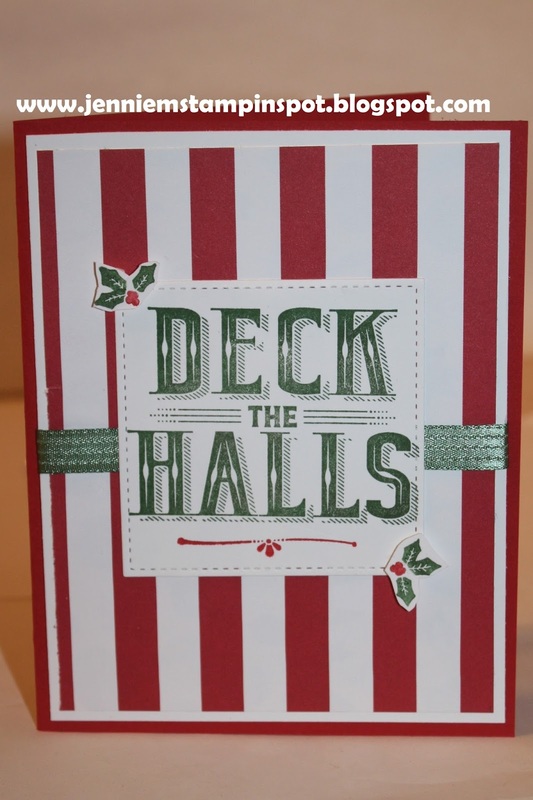 I'm done with Christmas cards! 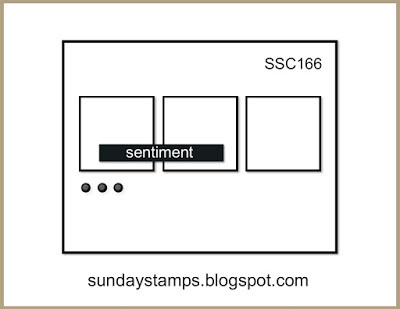 I used another sketch for this one, Sunday Stamps#168 here. 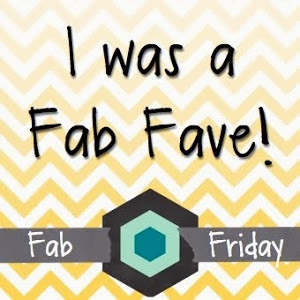 This would also qualify for the Fab Friday#127-Christmas Free for All, here. 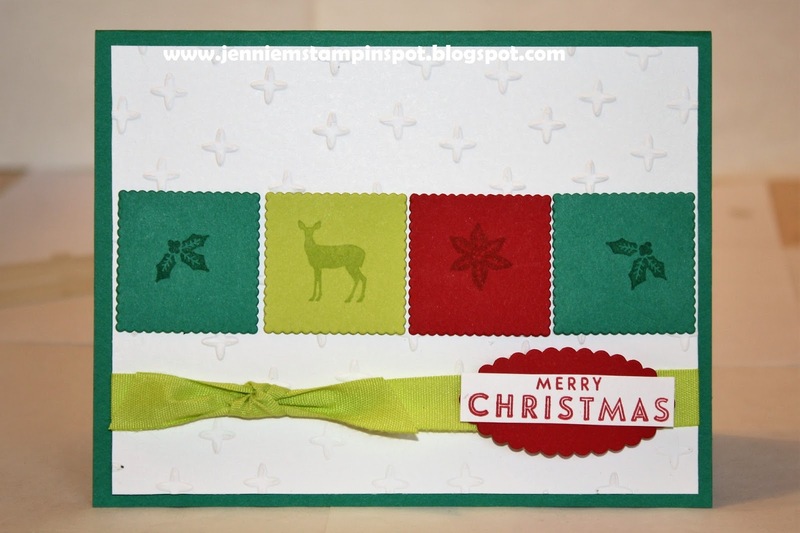 Merry Mistletoe and Carols of Christmas are the stamp sets with some Be Merry DSP. 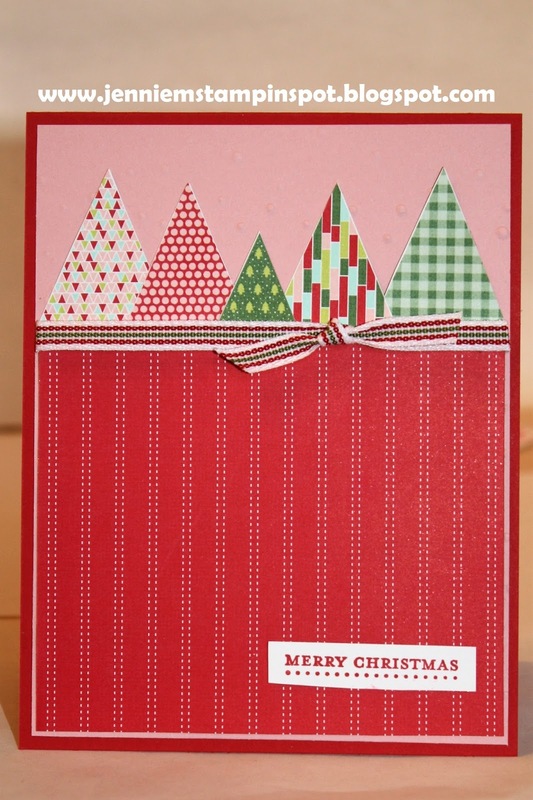 Since I had the Merry Little Christmas DSP and the Card Front Builder Framelits out, I used them again for this card. 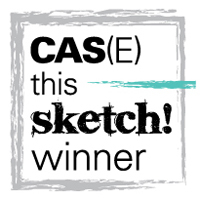 I also used the Case this Sketch#251 here. 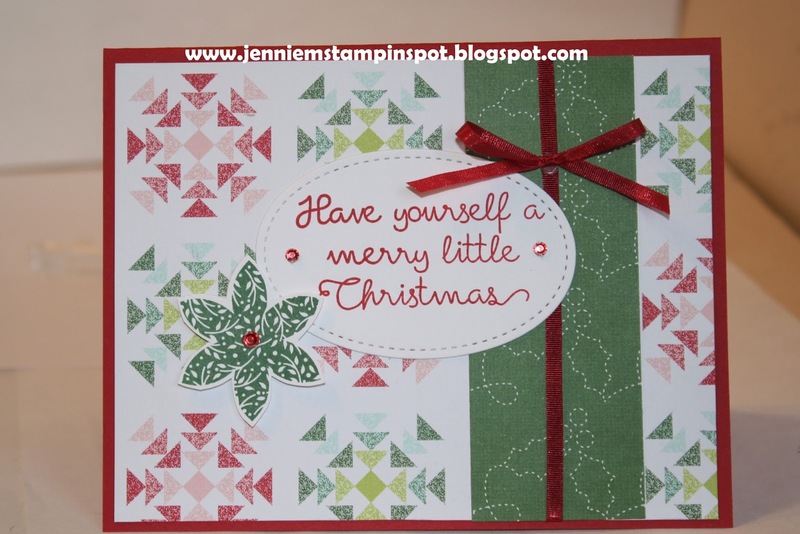 Christmas Quilt is the stamp set and I also used some Merry Music Specialty DSP. 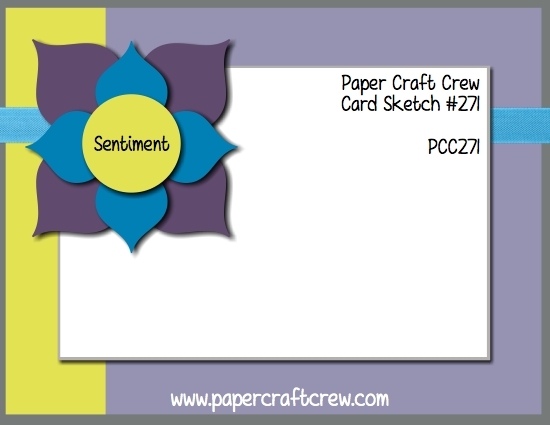 First, this card uses the sketch at the Global Design Project#118 here. 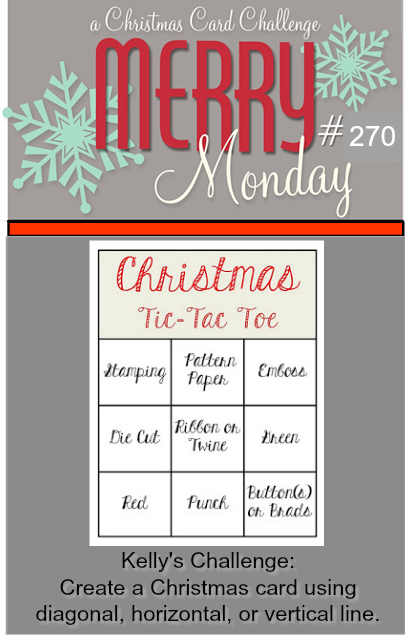 And second, it also qualifies for the Merry Monday#270-Tic-tac-toe, here. Flurry of Wishes is the stamp set with some Merry Little Christmas DSP. 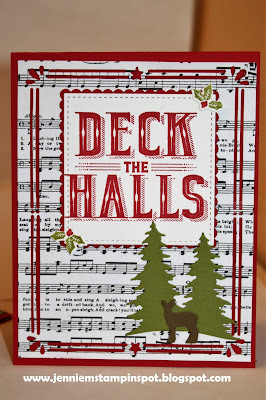 This card qualifies for the TGIF Challenge#138 here, Christmas Carols. 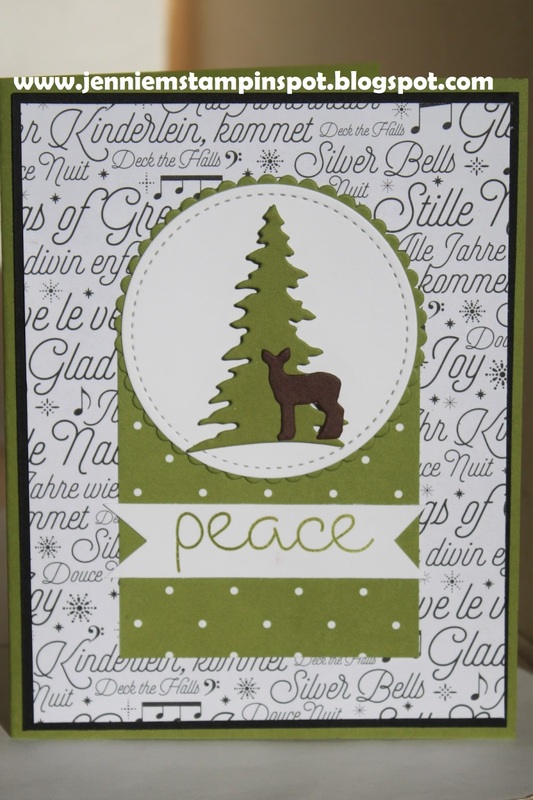 Carols of Christmas is the stamp set with some Christmas Around the World DSP. 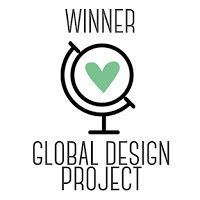 This card uses the Global Design Project#117 here. 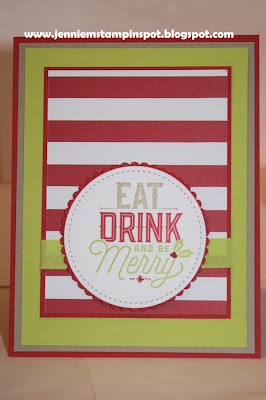 It's a color challenge to use Real Red, Lemon Lime Twist and Crumb Cake. 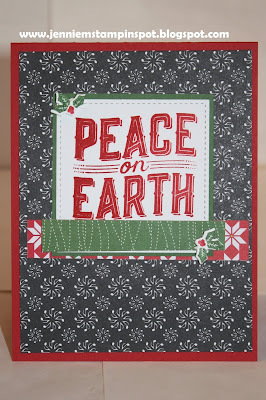 Merry Little Labels is the stamp set with some Christmas Around the World DSP. 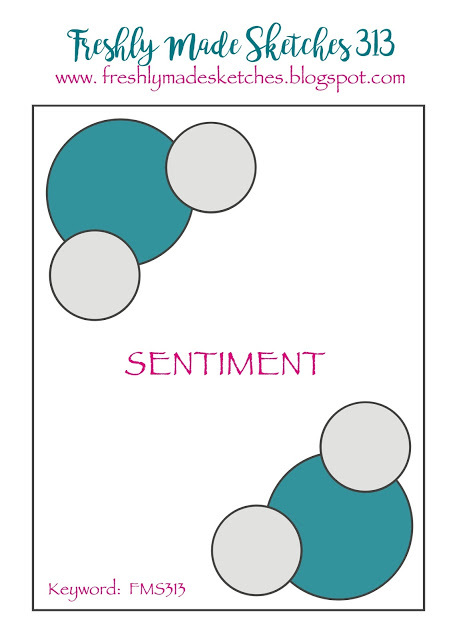 This card uses two challenges again. 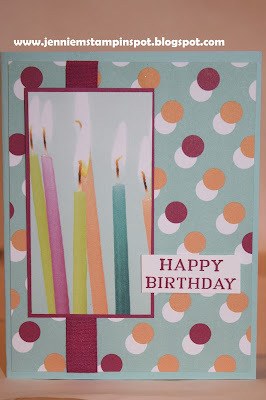 First, I got the colors from the Stamp Ink Paper Challenge#129 here. 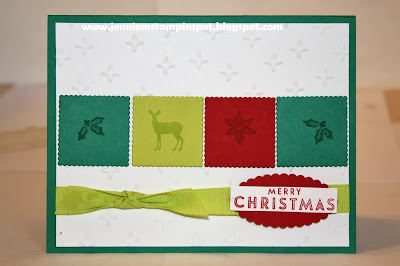 The colors to use are Green, Red and Gold. 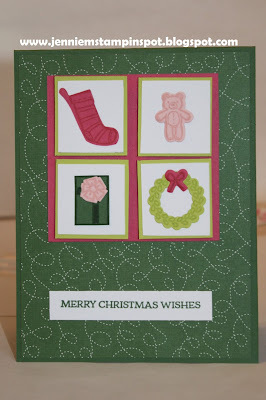 And second, the What Will You Stamp#146, here is to use the Christmas Quilt stamp set. 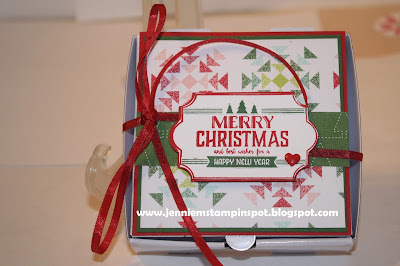 I also used some leftovers from the November 2017 Paper Pumpkin and some Quilted Christmas DSP and some Merry Little Christmas DSP. 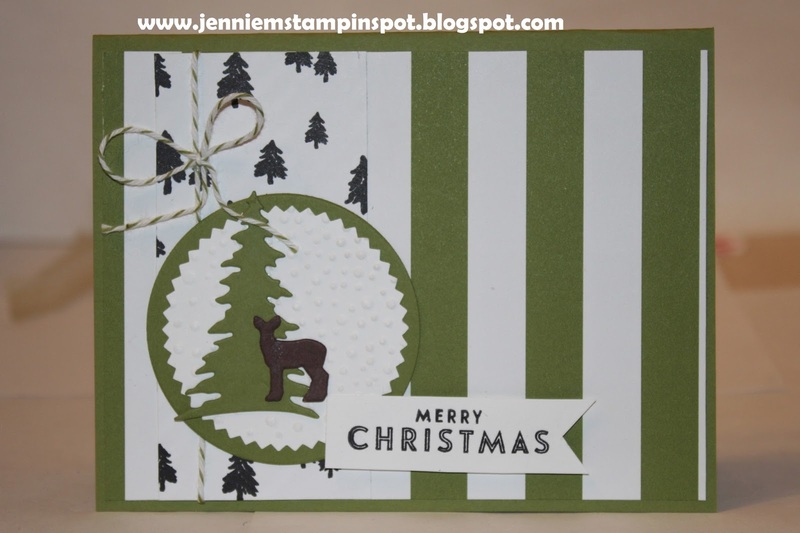 Still making Christmas cards so I used two challenges for this one. First, the Splitcoast Sketch Challenge#675 here. And second the color challenge at The Paper Players#374 here. 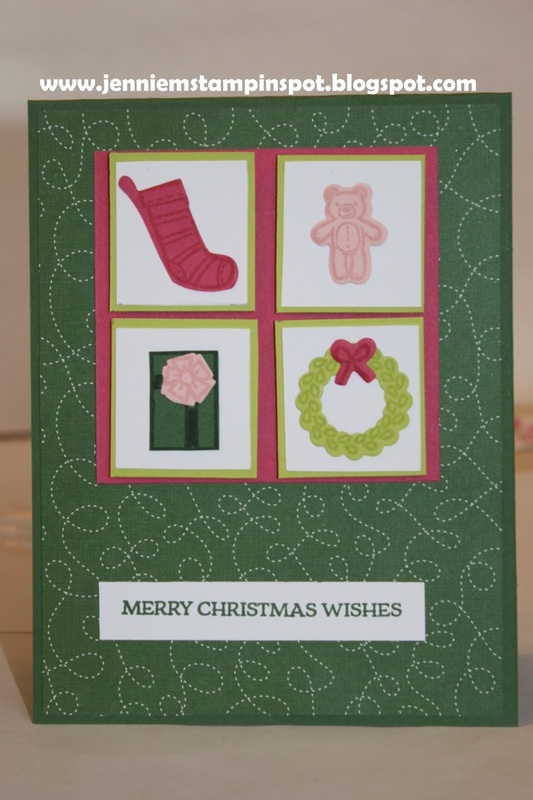 The colors to use are Garden Green, Melon Mambo, Lemon Lime Twist and Powder Pink. Santa's Sleigh is the stamp set with some Quilted Christmas DSP. This is for the TGIF Challenge#137 here. 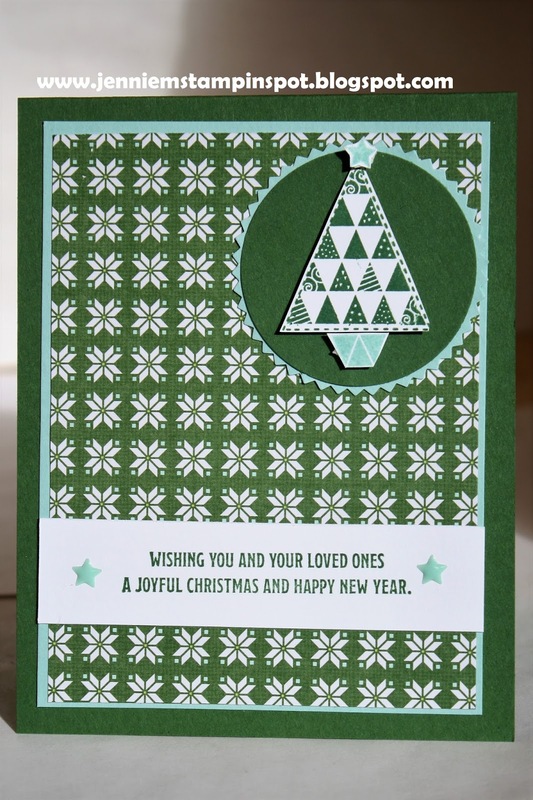 I just chose not to make a square card. 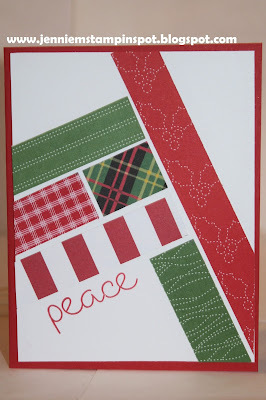 Christmas Quilt is the stamp set with some coordinating Quilted Christmas DSP. 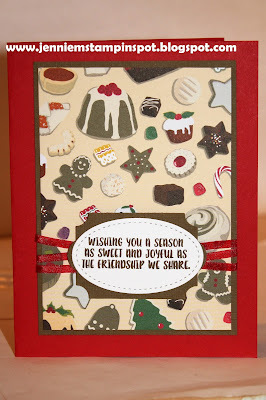 This card qualifies for the SUO Challenge#189-Favorite Holiday Colors, here. 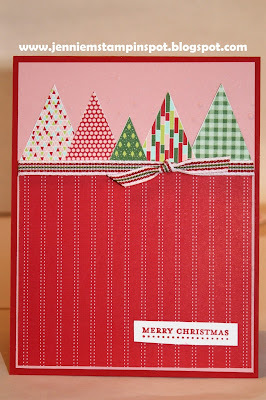 My favorite color is Real Red so it also has to be one of my favorite holiday colors. Add some Garden Green and a traditional holiday plaid from the Christmas Around the World DSP and you've got a classic Christmas card! 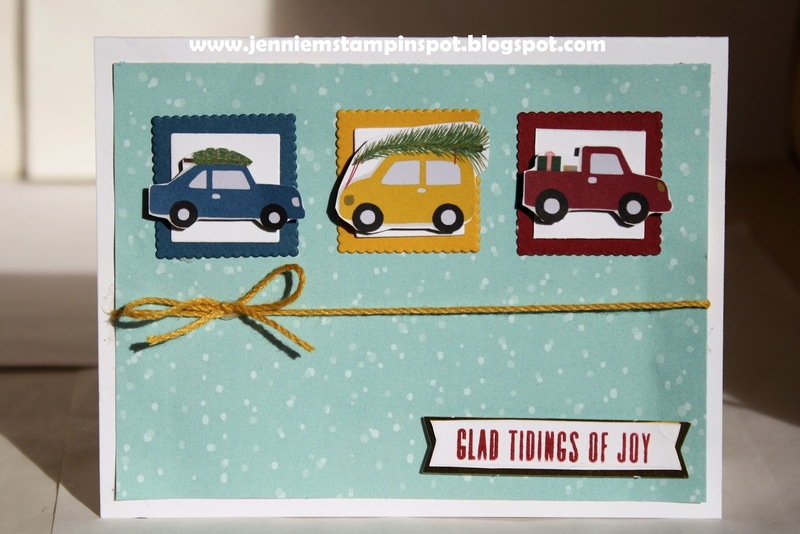 Labels to Love is the stamp set. 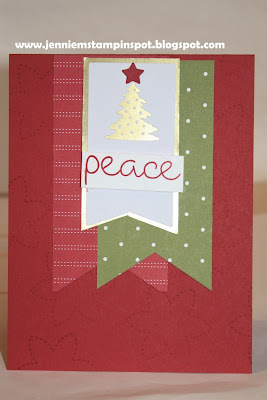 I'm still making Christmas cards so I used the Paper Craft Crew Card Sketch#217 here. 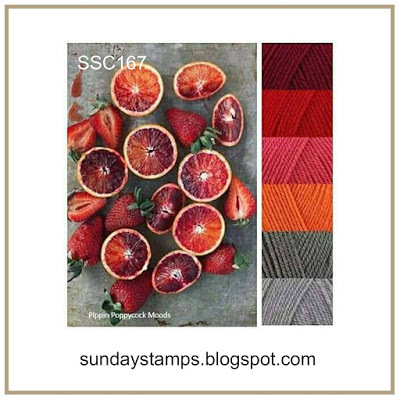 Pining for Plaid, the October 2017 Paper Pumpkin, is the stamp set with some Year of Cheer Specialty DSP. Still need Christmas cards so I used the Sunday Stamps#167-Winter Warmth here. 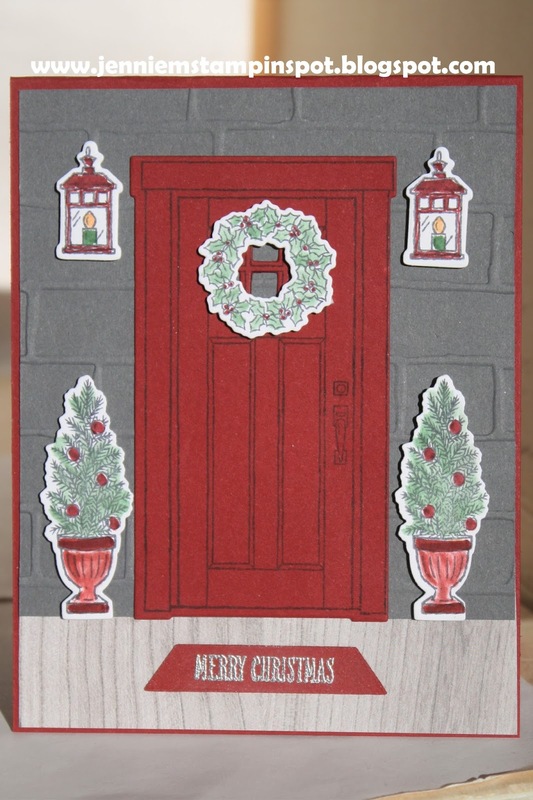 I was inspired by the reds and grays. 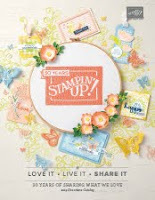 At Home with You is the stamp set with the coordinating At Home Framelits. 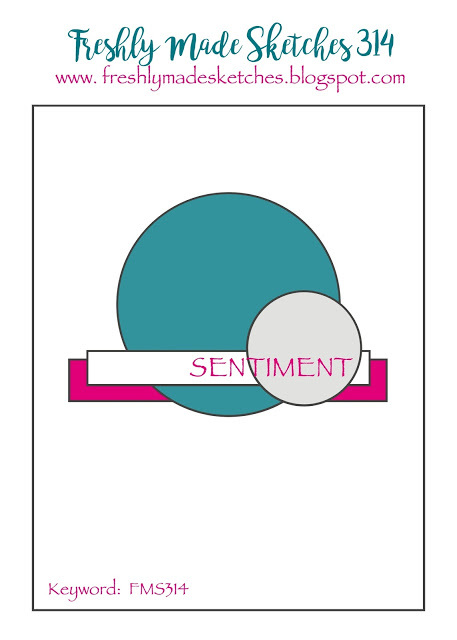 Also used a bit of the Wood Textures DSP. 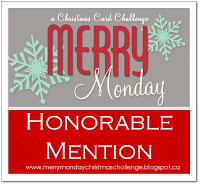 I managed to fit three challenges into this card! 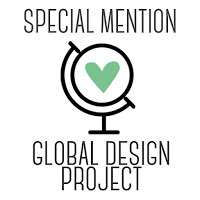 First, the Global Design Project#116 here. 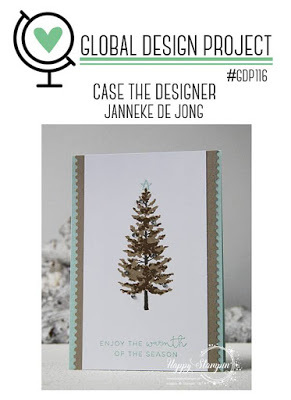 It's a case the designer and I took the sketch for my card. 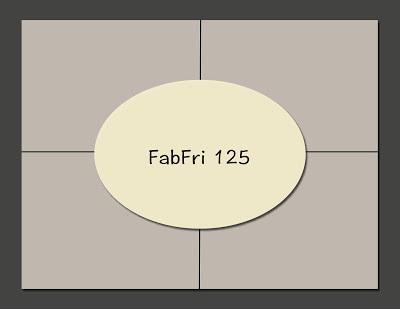 Second, the colors are from TGIF Challenge#136 here. 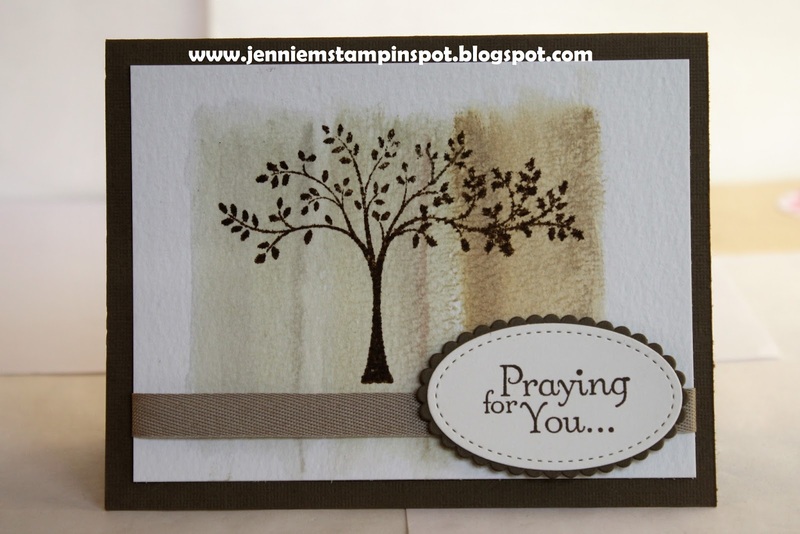 It's a color challenge to use Very Vanilla, Cherry Cobbler and Gold. 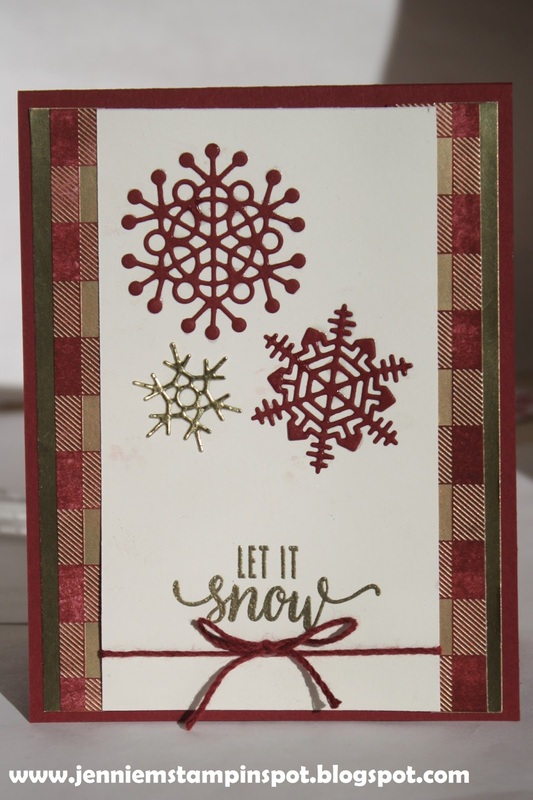 Finally, the Stamp Ink Paper#128-Let it snow, here. 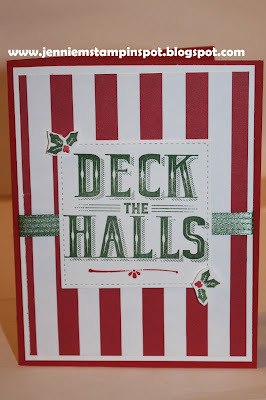 I used some Year of Cheer Specialty DSP and sponged Cherry Cobbler ink to the white parts. 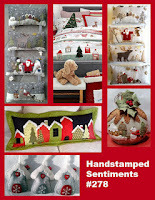 The snowflakes are from the Seasonal Layers Thinlits. And the stamp set is from the November 2017 Paper Pumpkin Back in Plaid kit. This card is for The Paper Players#373 here. 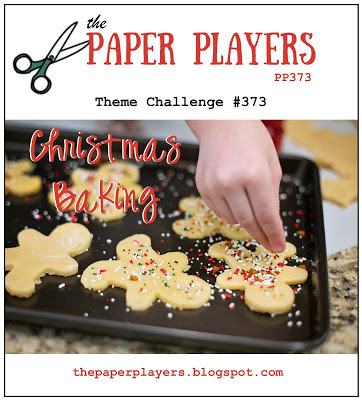 It's a theme challenge-Christmas Baking and what's more perfect than this piece of DSP from the Christmas Around the World DSP? Cookie Cutter Christmas is the stamp set. 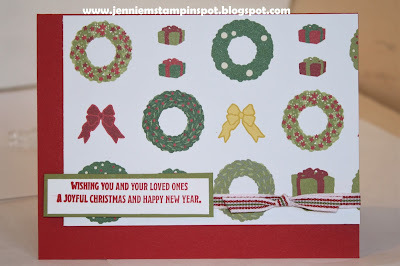 I was inspired by the Hand Stamped Sentiments#278 here. The trees and the color red stood out to me. 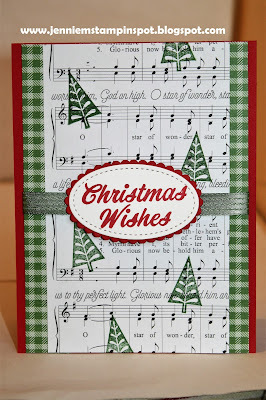 Carols of Christmas is the stamp set with some Merry Music Specialty DSP. 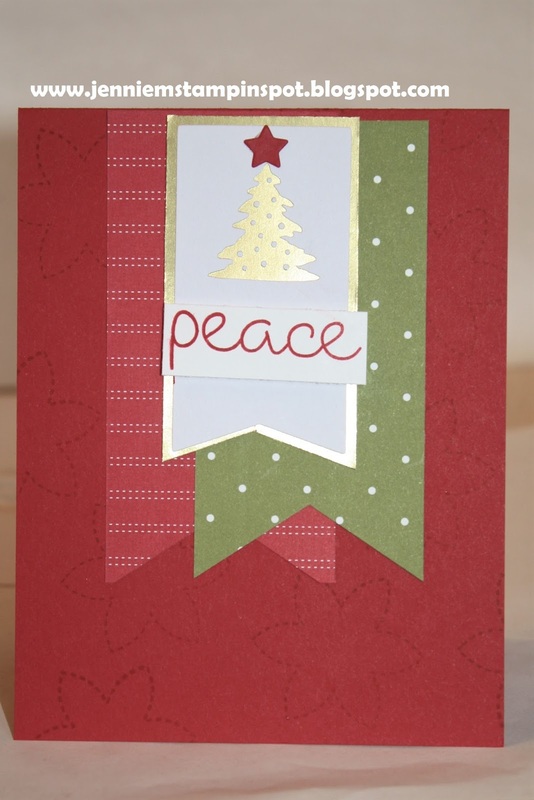 This is a Christmas card using the Freshly Made Sketch#315 here. 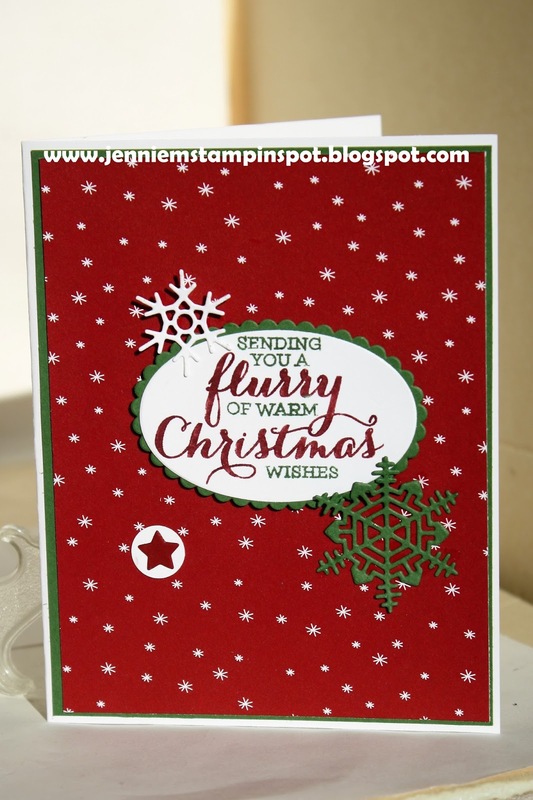 Flurry of Wishes is the stamp set with some Be Merry DSP. 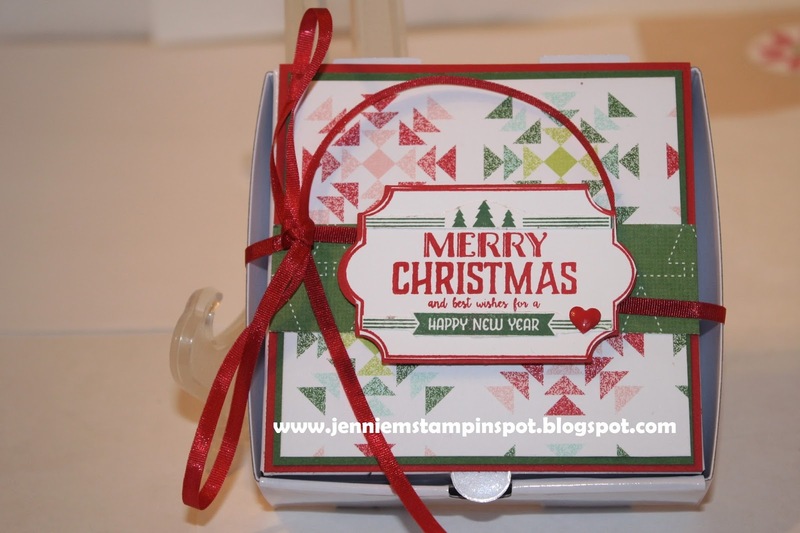 Since I had the Quilted Christmas DSP out, I used it to decorate this Mini Pizza box. 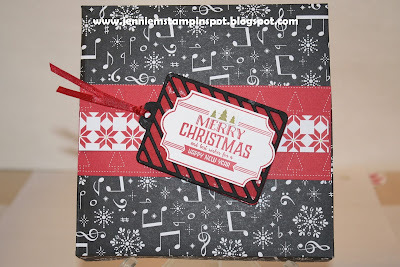 This qualifies for the Stamp, Ink, Paper Challenge#127 here-All Wrapped Up. This Christmas card uses two challenges. 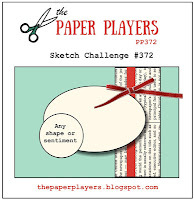 First, the sketch at The Paper Players#372 here. 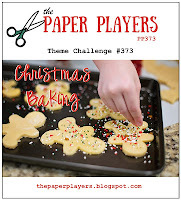 And second, the SUO Challenge#188-Celebrate Winter Holidays, here. 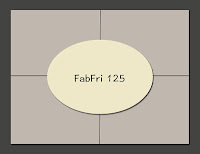 This card uses the Fab Friday#126 here. 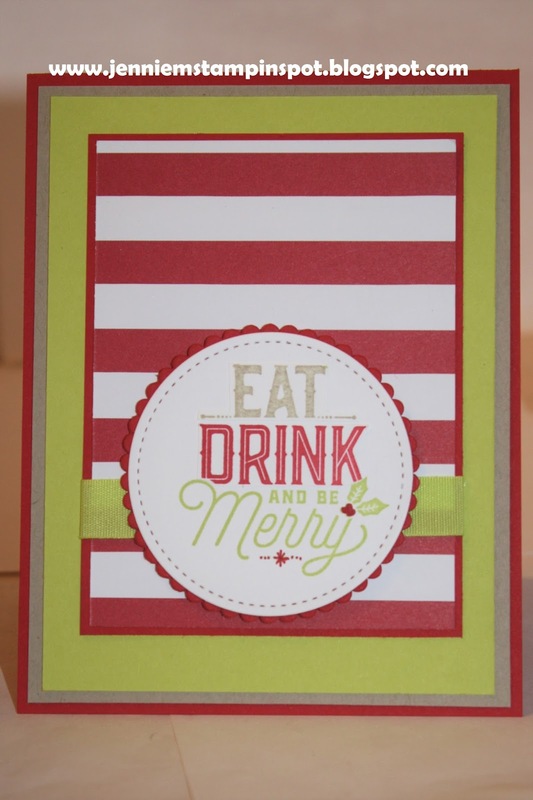 It's a color challenge to use Real Red, Lemon Lime Twist and Emerald Envy. 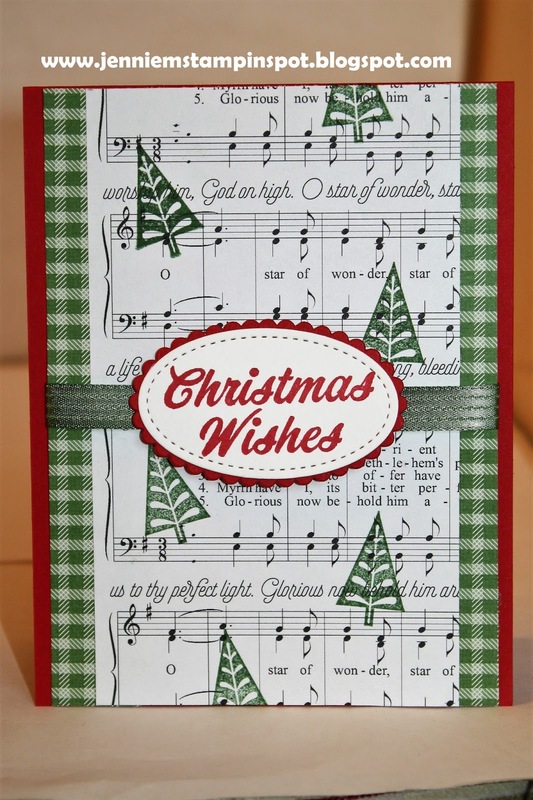 Flurry of Wishes and Carols of Christmas are the stamp sets. This is my take on the Sunday Stamps Challenge#166 here. The greeting is from the October 2017 Paper Pumpkin kit and there's some Christmas Around the World DSP. This card uses the sketch at FabFriday#125 here and The Paper Players#371 here. 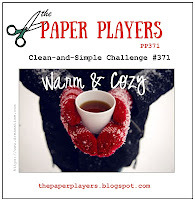 The red mittens in the picture were my focus from The Paper Players inspiration. Merry Mistletoe is the stamp set with some Be Merry DSP. This is for the Hand Stamped Sentiments#166 here. 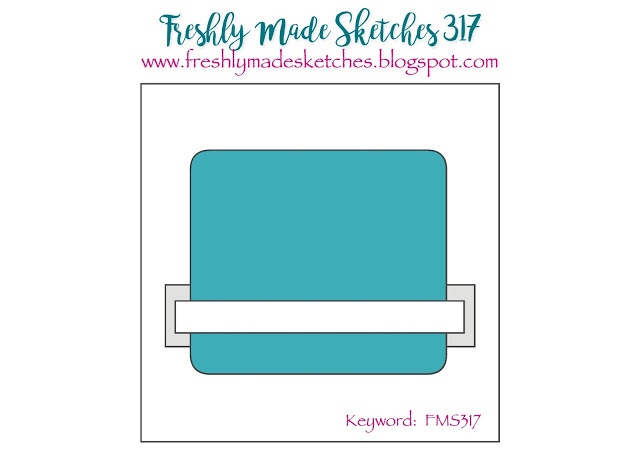 I pretty much exactly followed the sketch! 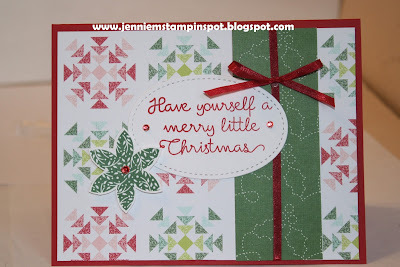 Teeny Tiny Wishes is the stamp set with some Quilted Christmas DSP. This card uses the sketch at Freshly Made Sketches#313 here, and the color combo at the Global Design Project#113 here. 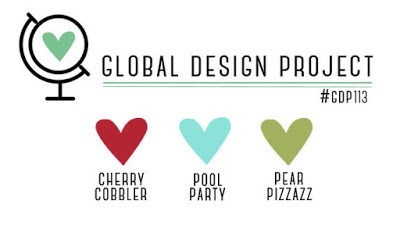 Cherry Cobbler, Pool Party and Pear Pizzazz are the colors. 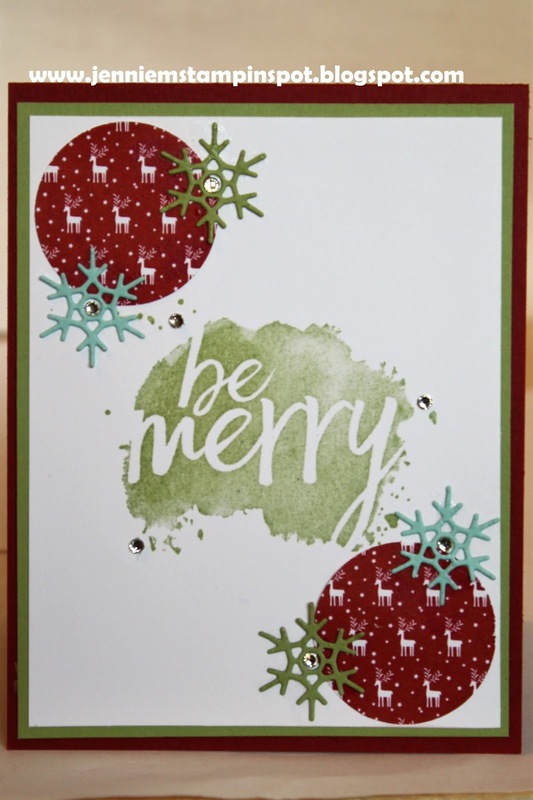 Every Good Wish is the stamp set with some Be Merry DSP. 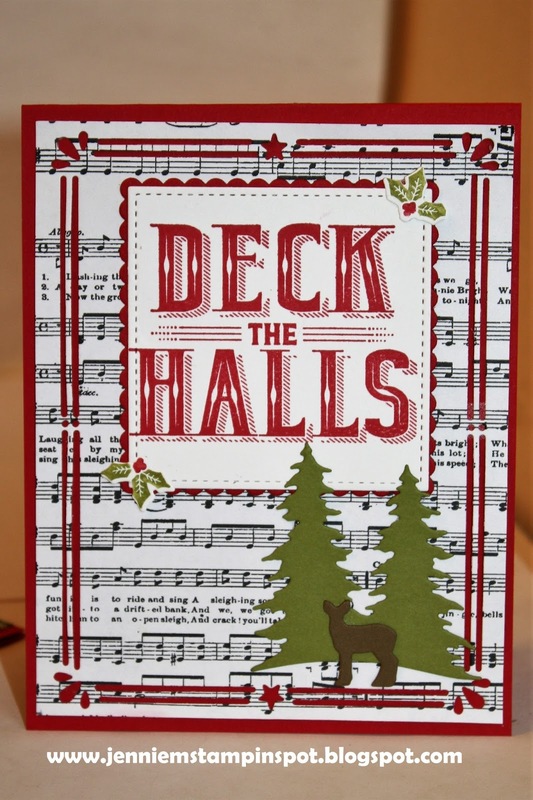 Since I had Merry Mistletoe on my desk I used it for this card too. 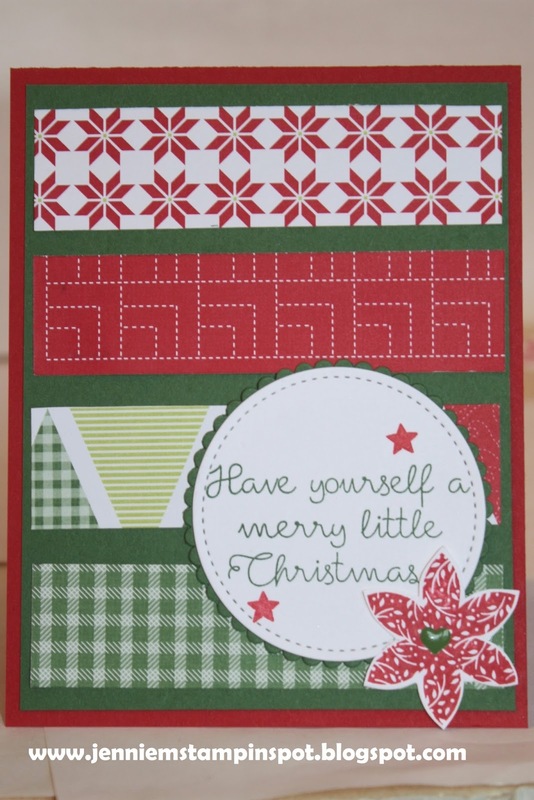 I also used some Quilted Christmas DSP and some Merry Music Specialty DSP. 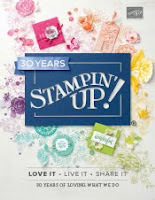 I'm back to stamping after an incredible 25th Anniversary trip to Hawaii! 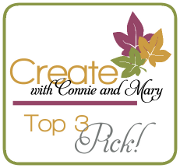 We had a great trip to Kauai and Maui and I'm so very grateful for the wonderful sights, food and memories! Back to reality as I can't believe Thanksgiving is next week! 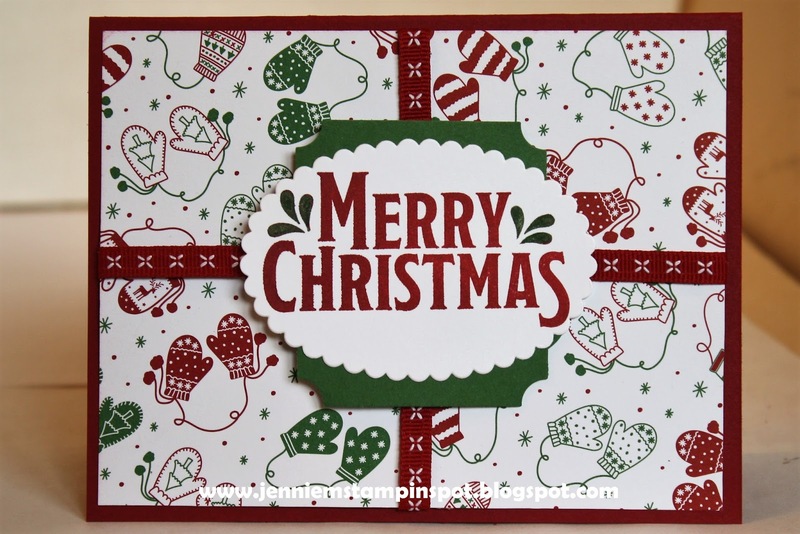 I made this card for the TGIF Challenge#133 here. Christmas Quilt and Merry Mistletoe are the stamp sets with some Quilted Christmas DSP. 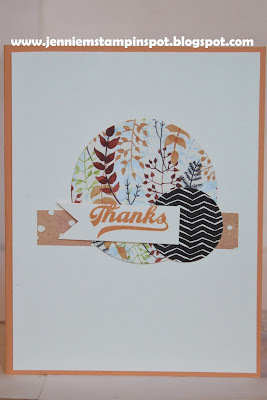 Unfortunately I needed a sympathy card, but fortunately I found the TGIF Challenge#132 here. It's a color challenge to use Sahara Sand, Crumb Cake and Soft Suede. 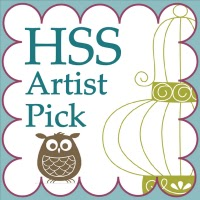 I used my Aqua Painter on some Watercolor paper and used a bit of each color. 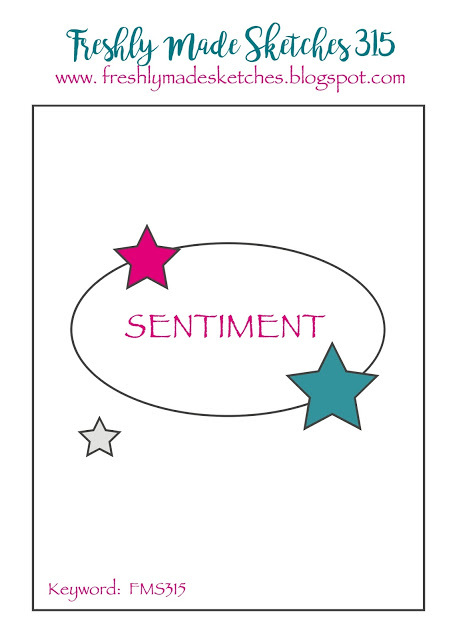 Thoughts and Prayers is the stamp set.